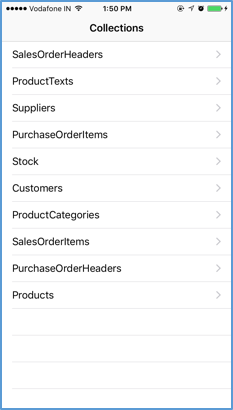 Welcome to Part5 – Run the iOS app on simulator. 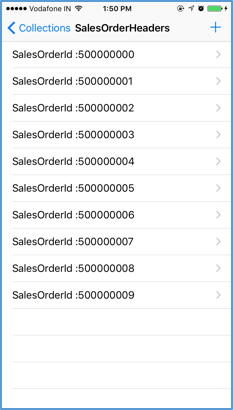 In this blog, we will see how to run the app on iOS simulator from Xcode. 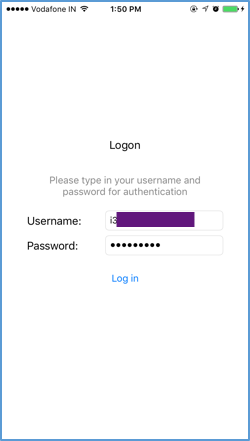 You can also run the app on iOS device if you have Apple Developer account and configured the provision profiles. Lets have a look at running the app on simulator. Without doing any changes, just run the project. Click on Command + R to run the project. After successful login, you would be able to see the collections and its details. 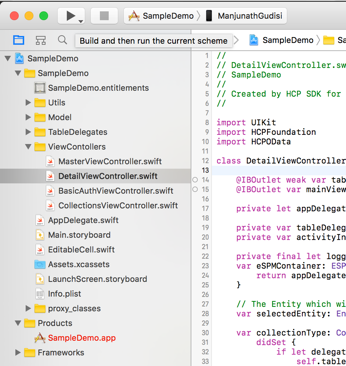 If you notice that, we have run the app on simulator successfully without modifying a single line of code in the Xcode project, which is created by “HCP SDK for iOS Assistant” on Mac. Thank you very much. Have a good luck with app development.